For Thursday and Friday, expect jobs data to dictate where Asheville mortgage rates are headed. Typically, mortgage rates in North Carolina would worsen on a strong jobs report like this. This month, however, rates are improving. This is mostly the result of Hurricane Sandy, which is expected to create a drag on the U.S. economy with its $50 billion damage tag. For home owners and buyers in Black Mountain and nationwide, the shift is yielding an opportunity to lock mortgage rates at artifically-low levels. 30-year fixed rate mortgages remain well below 3.50% for borrowers willing to pay discount points, and home affordability is approaching an all-time high. Mortgage markets worsened slightly last week as demand for mortgage-backed bonds slacked. There was little surprise in U.S. economic data and the unfolding story lines of the Eurozone continued unabated. Mortgage rates worsened slightly on the news, climbing for the first time in two weeks. The change was a small one, however, and rates only eased higher Wednesday through Friday. As such, Freddie Mac’s weekly mortgage rate survey failed to capture the change — Freddie Mac’s survey is conducted Monday and Tuesday. According to the Primary Mortgage Market Survey, the average 30-year fixed rate mortgage rate slipped to 3.78% last week, on average, down from 3.79% during the week prior. At the same time, the number of discount points charged by banks increased to 0.8 from 0.7. Stated differently, 30-year fixed rates mortgage rates dropped but mortgage applicants paid higher fees to get access to them. 1 discount point is equal to $1,000 per $100,000 borrowed. Freddie Mac also reported no change in the 15-year fixed rate and the 5-year adjustable rate mortgage rates. Average mortgage rates for the twp benchmark products remained at 3.04% and 2.83%, respectively, with no change in discount points. This week, mortgage rates figure to show a bit more movement. It’s a 4-day week because markets were closed for Memorial Day, and there is a glut of new data set for release. 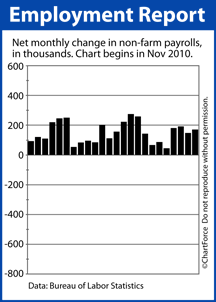 Most notably, the May Non-Farm Payrolls report hits Friday morning. The jobs report affects mortgage rates because mortgage rates are linked to U.S. economic strength. Wall Street is expecting to see 164,000 net new jobs created in May. If the actual results fall short of that estimate, mortgage rates should fall. If the actual number exceeds estimates, mortgage rates should rise. 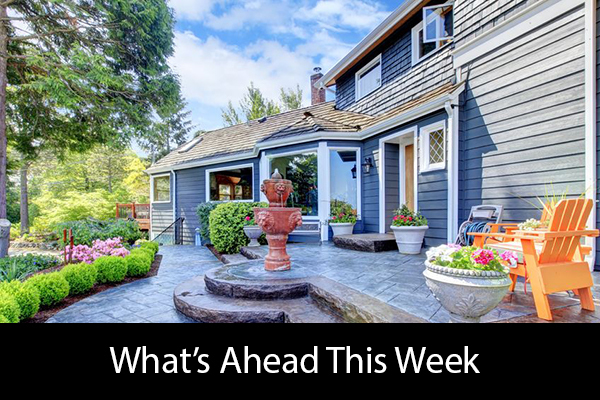 Other releases include the Case-Shiller Index, Consumer Confidence, the Pending Home Sales Index, and Personal Income and Outlays. Mortgage markets worsened slightly last week as positive U.S. economic news overshadowed growing concerns for the Eurozone’s future. Political and economic issues continue to weigh on Greece and Spain, and it’s still unknown how France’s new President will change that nation’s fiscal direction. Conforming mortgage rates edged higher on the week overall. Last week was light on economic data, but the figures released suggest an improving U.S. economy. For example, the Bureau of Labor Statistics reported 3.7 million job openings nationwide this past March, marking the highest amount since July 2008. Voluntary separations (i.e. “quit jobs”) increased, too — also at levels not seen since 2008. Voluntary separations may hint at labor market improvement because employees rarely leave a steady-paying job without the prospect of a new job ahead. Furthermore, the four-week moving average of first-time unemployment claims fell for the first time in a month. 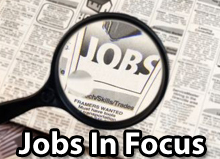 The jobs market is one of two key sectors expected to lead the economy forward this year. The other is housing and, this week, there will be two key housing reports for Wall Street to review. 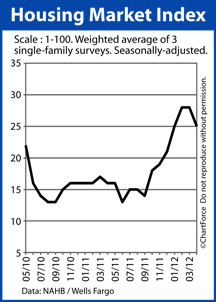 The first is Tuesday’s homebuilder confidence survey from the National Association of Homebuilders. The second is Wednesday’s Housing Starts data for April. Mortgage rates may also be affected by the Tuesday release of the Retail Sales report and Consumer Price Index report; and, by the Federal Reserve’s Wednesday release of the FOMC Minutes from its last meeting. For home buyers and mortgage rate shoppers, mortgage rates remain at all-time lows. According to Freddie Mac, the average 30-year fixed rate mortgage rate nationwide is 3.83% for borrowers willing to pay 0.7 discount points and a full set of closing costs — the lowest rate-and-fee combination in Freddie Mac’s recorded history. However, low mortgage rates may not last much longer — especially if the Eurozone can reverse course on its ailing economies. Mortgage rates remain volatile and sensitive to changes in market conditions. If today’s mortgage rates fit your budget, consider locking in. 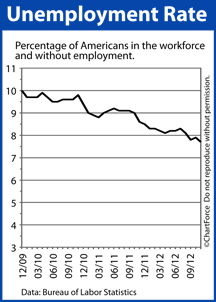 Americans continue to get back to work. The March report marks the 18th straight month of job growth nationwide — the first time that’s happened in 5 years. The Unemployment Rate dipped in March, too, falling one-tenth of one percent to 8.2%. This is its lowest national Unemployment Rate since February 2009. Clearly, the jobs market is moving in the right direction. Yet, after the Non-Farm Payrolls report was released Friday morning, stock markets dropped and bond markets gained — the opposite of what a casual market observer would expect. It happened because, although job growth was strong, Wall Street decided it just wasn’t strong enough. The market expected 200,000 jobs created in March at least and the actual reported figure fell short. Lucky for you, Wall Street’s pain is Main Street’s gain. After the jobs report was released, mortgage rates immediately dropped to a 3-week low, making homes more affordable throughout all 50 states. The market’s reaction is an excellent example of how important jobs data can be to home affordability — especially in a recovering economy. The economy shed 7 million jobs between 2008-2009 and has since added more than half of them back. Wall Street pays close attention to job creation because more working Americans means more consumer spending, and more consumer spending means more economic growth. Rate shoppers caught a bit of a break on the March payroll data. By all accounts, the labor market recovery in underway and, as it improves, higher mortgage rates are likely nationwide. For now, though, there’s a window for low mortgage rates that buyers and would-be refinancing households can try to exploit. If you’re actively shopping for a home or a mortgage, today’s mortgage rates may be at “last chance”-like levels. Once rates rise, they’re expected to rise for good. Economists believe the strength of the 2012 housing market will be closely tied to jobs. If they’re right, the housing market is ripe for a boost. It spells good news for home sellers and may mean the end of bargain-basement prices for buyers. Since peaking in mid-2009, the number of U.S. workers filing for first-time unemployment benefits has dropped 44 percent. Over the same period of time, the U.S. economy has added more than 2 million jobs and the national Unemployment Rate is down more than 1 percentage point to 8.3%. Employment’s link to the housing market is both economic and psychological. To make the economic link is straight-forward. A person with a job earns verifiable income and such income is required in order to be mortgage-eligible. For conventional and FHA purchase loans, for example, mortgage lenders want a home buyer’s monthly income be more than double his monthly debts. For the formerly unemployed that have since returned to work, having a full-time income makes buying homes possible. It also supports higher home valuations nationwide because home prices are based on supply-and-demand. All things equal, when the number of buyers in a market goes up, prices do, too. The psychological connection between housing and employment is a tad more complicated, but every bit as important. It’s not just out-of-work Americans that don’t look for homes — it’s fearful Americans, too. People with concerns about losing a job are just as unlikely to shop for homes as people actually without a job. The same is true for people unsure of their prospects for a better-paying job, or their own upward mobility. A recovering job market can lessen those fears and draw out buyers — especially those who face a loss on the sale of an “underwater” home. 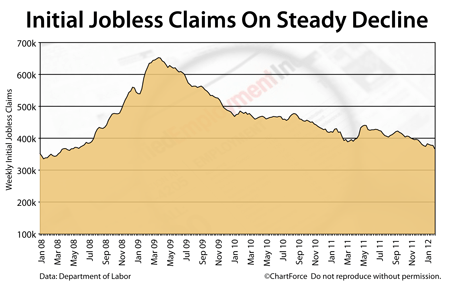 The Initial Jobless Claims rolling 4-week average is at its lowest level since 2008. Fewer Americans are losing jobs, and more are finding permanent placement. It’s one more reason to be optimistic for this year’s housing market.